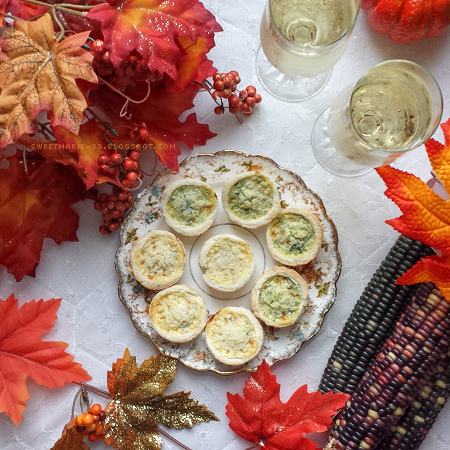 Autumn is the perfect time to throw a party. You have so many options with themes, plus it’s that perfect ‘in between’ time - people aren’t as busy as they are in the summer with travel, family activities, and the desire to be outdoors all the time, and the Christmas rush hasn’t started yet, with its endless parties and get-togethers, shopping, and other things associated with the holiday season. 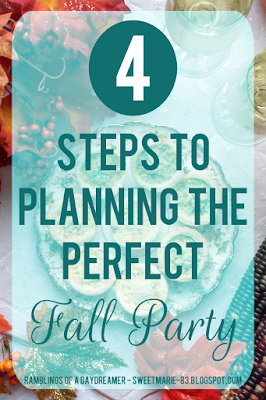 If you're throwing a party this autumn and need some help, here are four steps to planning the perfect fall party. General fall theme ~ If you simply want to host a get-together for friends or family, a basic autumnal theme is sure to be a hit. Thanksgiving gathering ~ Most people have family obligations around Thanksgiving, but for those who don’t have family, or for tight-knit groups of friends, Thanksgiving is a great time to get together. You can do a traditional dinner or something completely different, like a potluck or buffet of everyone’s favourite foods. Viewing party ~ Most TV shows start back up in September and October. If you have a group of friends who love a specific show, throw a viewing party themed around that show. You could also do a marathon or best-of rewatch of your favourite shows. Sports-themed party ~ Similar to the viewing party, you could host a fall sport-themed party. You could have people over while a big hockey or football game is on TV, or go all out with a theme specific to your favourite team. Oktoberfest party ~ Get down Bavarian style with plenty of German food and beer, music, and even traditional outfits. Take advantage of the weather before winter sets in and fire up your barbecue to grill some bratwurst. Halloween party ~ This is probably the most obvious party to have in the fall, and one of the most fun, too! 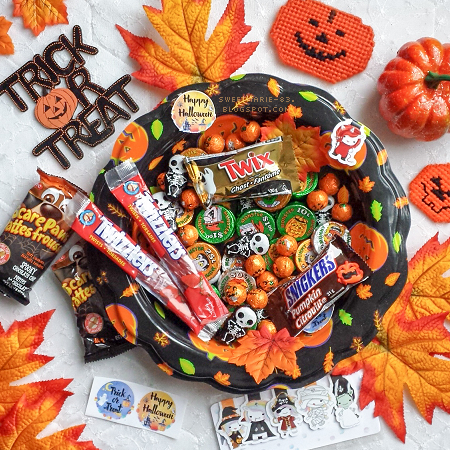 There are endless choices for Halloween parties: children’s parties, costume parties, haunted houses, specific themes like Harry Potter - the list goes on and on. What kind of food will you serve at your gathering? Will you have a fancy sit-down dinner? Potluck where everyone brings a dish? Buffet-style where you provide the food? Will it be casual or fine dining? Chips and dip or gourmet appetizers? If your party is a specific theme, it’s a good idea to plan your food around that theme; for example, if you choose a general autumnal theme, you could do flavours like apple and pumpkin. If it’s a party for children or if it’s a mixture of adults and children, don’t forget about food that appeals to kids and is easy for them to eat. Once you have the food under control, it's time to think about drinks. Will you be serving wine? Cocktails? Beer or spirits? Non-alcoholic drinks? Will you have a self-serve bar set up, pre-made drinks, or will you or someone else be playing bartender for the event? Is it BYOB? Is it a completely alcohol-free party? If you are serving alcohol, don't forget the non-alcoholic beverages for those who don't drink, like water, punch, sparkling drinks, pop, etc. Something important to take into consideration when planning a menu is food allergies and aversions. It never hurts to ask your guests about allergies like gluten, dairy, nuts, eggs, etc., and don't forget to account for vegetarians and vegans! One of the reasons I love the idea of hosting a party in the fall is because the decorating options are endless. If you’re going with a fall or Thanksgiving theme, you can do something simple and elegant with leaves, pumpkins, maize, pine cones, and candles of various sizes. If you’re throwing a Halloween party, you could have fun with decorations ranging from cute to spooky to downright scary, depending on your theme. Decorations depend largely on your personal style. Some people like to go all out, while others want to keep things minimalistic and focus more on the food and drink. There's no right or wrong here; do what works for you, and also what fits into your budget. For some people, a guest list will be obvious. For those with a bigger group of friends or a larger family, it might be harder to decide who to invite. My best bit of advice when it comes to figuring out the guest list for any party: know your audience. If you’re having a Halloween party and costumes are a requirement, not everyone will be interested in dressing up (shocking, right? I’d give anything to go to a fun costume party!). If you’re having an elegant sit-down dinner or cocktail party but a few of your friends prefer more raucous parties with loud music, free-flowing booze, and entertainment, or simply aren’t the type for ‘fancy’ parties, maybe leave them off the guest list this time around. Once you've made the guest list, it's time to send out invitations. You can send paper invitations in the mail, or if you're looking for a more eco-friendly way to invite people, you can send paperless invitations. These days, most people don't keep invitations the way they used to, which means they likely get thrown away, creating waste this planet just doesn't need. Sending paperless e-vites not only reduces your carbon footprint, it also makes it easy to keep track of RSVPs. If you're looking for a wide variety of beautiful invites for every occasion, check out Paperless Post's invitations. They have dozens of absolutely gorgeous autumn-themed invitations, as well as Halloween invites that range from cute to whimsical to creepy to elegant. 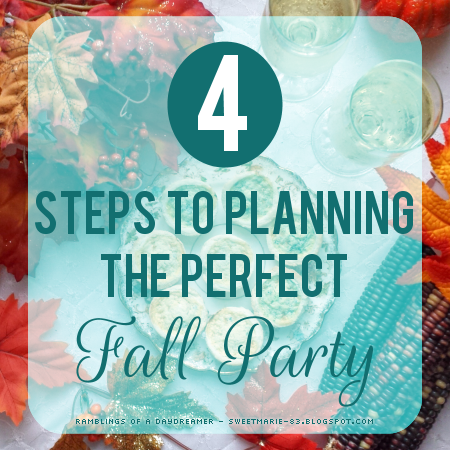 Now that you've chosen your theme, created your menu, bought or made your decorations, and sent out invitations, you have all the elements of the perfect fall party! Whichever way you choose to celebrate this beautiful, colourful season, I hope you enjoy the time spent with family and friends. This post was written in collaboration with Anagram Interactive. What are some of your best party planning tips? If you could host - or attend - any kind of fall party, what theme would it be?